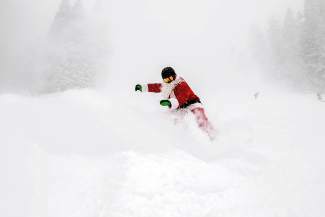 Santa Claus was rippng some epic powder turns on Thursday, Christmas Eve, at Northstar California. 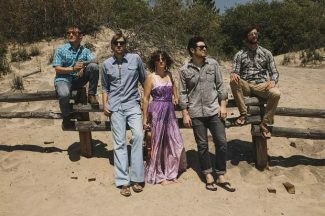 TAHOE-TRUCKEE, Calif. — Below is a recap of the top stories from Dec. 21-27 at http://www.sierrasun.com. This web-only story reported on the first of two major winter storms to hit the region last week. It blanketed ski resorts with 1-3 feet of snow and doused Lake Tahoe with several billion gallons of water by Tuesday morning. According to the National Weather Service, Tahoe’s water level rose 2 inches, and anywhere from 4 to nearly 6.4 billion gallons of precipitation fell in the lake over a span of roughly 30 hours. This web-only story previewed the forecast for last Monday’s storm, which included a winter storm warning for basically all of Dec. 21 and National Weather Service predictions of 18 to 36 inches of snow above 7,000 feet. According to a 66-page report from the Tahoe Prosperity Center, while the Lake Tahoe region may be seen as a thriving tourism region, it’s a challenging place to live for locals. Among other conclusions, the report suggests Tahoe is struggling with underpaying employment opportunities, challenging housing conditions, blighted residences and aging infrastructure. With some residents resorting to living in old motel rooms converted into long-term housing, it’s a pressing concern. The second major storm to hit the region last week happened all day Christmas Eve. 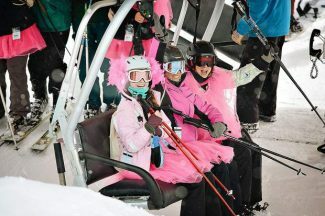 Ski resorts recorded anywhere from 1 to 2 feet of fresh powder, offering locals and visitors some of the best Christmas weekend skiing and riding terrain in recent memory. Abandoned ski areas near the Lake Tahoe region aren’t able to regrow lush plant life due to previous ski resort operators damaging the terrain. This is what University of California, Davis ecologists Jennifer Burt and Jeffrey Clary unearthed in a recent study of six shuttered ski resorts throughout the northern Sierra Nevada, including Powder Bowl/Deer Park Ski Area, Plavada, Tannenbaum, Edelweiss, Echo Summit and Iron Mountain.